This weeks draw was held in Melletts and Eva Flannery of Lisacul, Ballaghaderreen won €606. The winning envelope was sold in Cafollas. 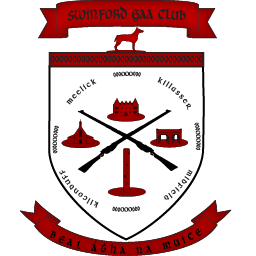 Envelopes are available in most business premises and online through www.swinfordgaa.ie where tickets can be purchased in bundles of 10/25/52 weeks. Next draw is in Gateway Hotel on the 21st March. Draw envelopes are available at 3 for €5.